Print Mats! Heat transferred film on top of EVA Foam! 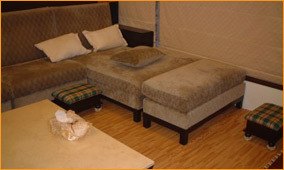 16 sq. ft. per set and 80 sq. ft. per case. 4 pieces in a set and 5 sets in a case. Real Cork material on top of EVA foam. 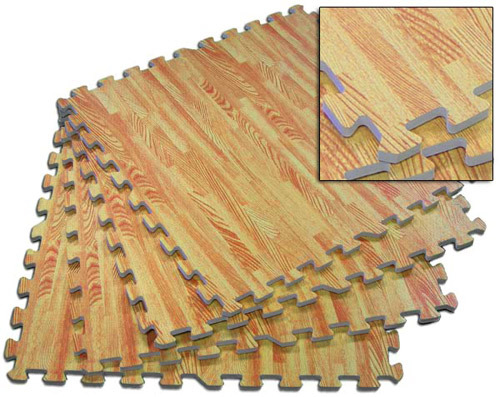 You can use these on the walls as bulletin boards or on the ground as stunning flooring. 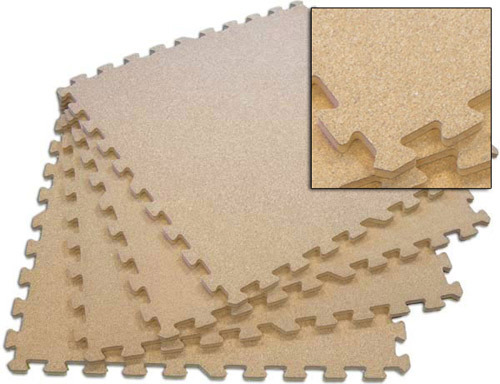 These Real Cork mats have a real natural cork on top, so be wary of water unless you seal the surface of the mats. 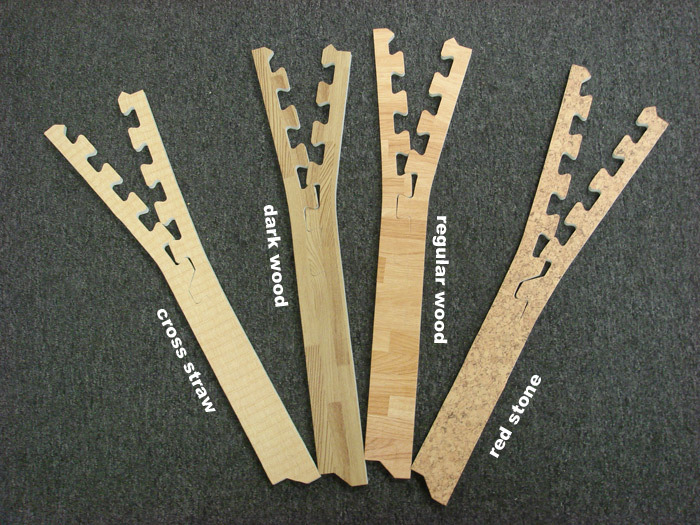 The real natural cork has the same properties as any cork material and will absorb water. All these print/specialty type mats are 24”x24”x1/2”. They cover 16 sq. ft. per set and 80 sq. ft. per case. Easy to clean and install. Lightweight and looks so good. All the print film mats are waterproof as well! 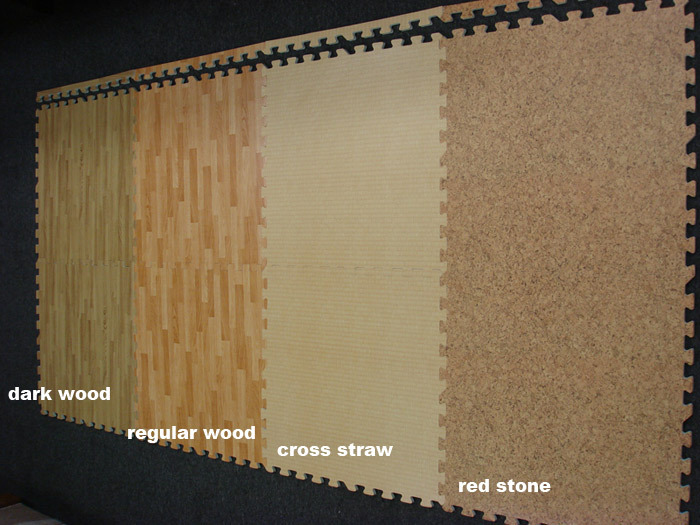 (This excludes the Real Cork Mat which has a real natural cork surface) If you want to protect yourself and the home’s décor then these are what you are looking for. 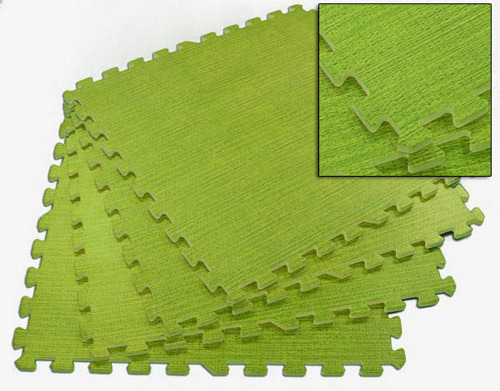 Don’t ruin the beauty of your living room with regular mats, but instead use these instead! Great for tradeshow booths and showrooms as well. 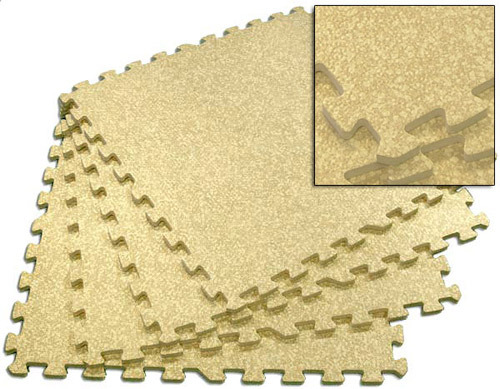 Your guests will be amazed when they see these mats.